Your mortgage interest rate is fixed for a set period only, during which your mortgage payments will stay the same. At the end of the fixed rate period, your mortgage interest rate will change to the lender’s standard variable rate. 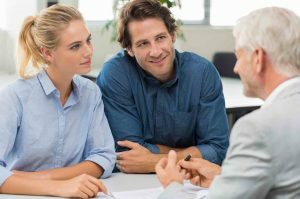 Fixed rate mortgages are usually available for between one and ten years, however they can be available for longer periods depending on market conditions. This product may carry an early repayment charge. Yes – If you need to budget with certainty for the next few years, or you think mortgage interest rates will rise, or both. No – Probably not if you think mortgage interest rates will fall. Alternatively, see an explanation of the Discounted rate mortgage product.